December boxes – I’m dreaming of a chocolate Christmas! We love being able to give our subscribers access to hard-to-find chocolates, and this month was no exception. We had four award-winning chocolate makers from around the world, three of which aren’t available elsewhere in Australia (that we know of)! LetterPress Chocolates aim for sublime flavour and a truly ethical supply chain, while Fruition uses fairtrade and organic cocoa, and recently won an award for the best milk chocolate in the world! Yoon Kim, the Australian Smooth Chocolator, is relatively new to the chocolate scene, but is producing incredibly smooth and rich chocolates. Finally, the Akesson family has supported and nurtured some of the finest cacao plantations in the world. 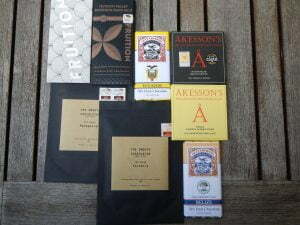 Some of our dark & mixed subscribers this month had the luxury of tasting two bars made with beans from the same plantation, but by different chocolate makers. 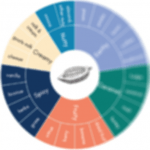 The Akesson Madagascar and Smooth Chocolator Madagascar are a fascinating example of the traits that are inherent in the beans and the influence of the chocolate maker on the final product. In other news, although we are fans of hot chocolate, we don’t really want our shipments to arrive meltd. So this month we continued to test the best ways to ship chocolate in the hotter months. This month we trialled ice packs in some of our packages which seemed to work well. We would like to thank every one for their support in 2016 and wish you all a fabulous Christmas and New Year! May your 2017 be filled with bean-to-bar chocolate!